I’m developing an Outlook Add-In and I need more than 1 user account to test it (at the very least 2), since there is a limitation in the Office 365 dev and Outlook Developer Preview accounts with regards to the number of email accounts that you can create (not to forget to mention that our addins will not work in the general public domain of @hotmail or @live.com accounts), Is there an alternative way for us to create more than one Outlook account so we may be able to test if our calls to the Contact, User or People APIs? Office add-ins can be installed within Office 365 accounts but also Live accounts (personal), and for Outlook add-ins with Exchange 2013+ mailboxes. What is your position regarding add-ins that need authentication with other Microsoft services? For example, if we want to access OneDrive API (that supports both One Drive for Business and personal One Drive). The app must be registered for OAUTH. Should we register our app on Azure AD or in the Microsoft Account Developer Center or in SellerDashboard? It seems that there are many ways to register apps. What is the recommended approach for registering your app for OAUTH? What if the OAUTH scopes were granted during the add-in install maybe we could avoid another OAUTH flow for the app (with all the known problems related to sandboxed iframe). Maybe Azure AD would be a better way to integrate all Microsoft services? We have 3 authentication options for building things that call into different OAPIs: consumer only APIs (outlook, one drive, one note), organizational applications (O365 - those are registered through Azure management portal or dev.office.com), organization + consumer APIs together (for that we have a new site - apps.dev.microsoft.com). If you’re building for O365 you really should register in the Azure management portal. You’ll see the most API options there. There is a registration page in Dev.Office.com for those without Azure accounts. It’s a scaled down registration page, less flexibility in how to define that application using that page. Is it possible to create outlook tasks using Graph tasks API? Is it possible to set reminder for new task being created using the API? Is it possible to set reminder for task existing in outlook using the above mentioned API? Is there a way to get calendar weather data by calling office api , and can you call the calendar resources independent of outlook ? No, there is not. That data is not provided by the API. Does my plugin work on 'Hotmail' or is Graph restricted to Business? Looking at this hackathon I’d encourage you to look at just consumer or just organizations, not both. Just because I think you’re going to run into challenges finding an account that works. If you have longer term aspirations for your hackathon submission, we can work with you post-hackathon to get that going. We’ll be going to that V2 app model. Think about the scope of what you’re working towards. 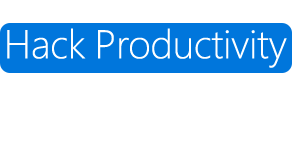 If you’re looking just for functioning for the hackathon look at the Azure Active Directory. Registering through azure AD: I have access to azure portal. How are the endpoints actually used? The resource endpoints are different from what is provided there.